SASKATOON - An Air Canada Express plane had to return to Saskatoon shortly after takeoff when flames were reported to be coming from it. Airline spokesperson Teri Udle says in an email that Flight 8585, a Dash 8 Q400 operated by Jazz, was on its way to Calgary on Saturday when flames were noticed near the left tail pipe. Udle says the crew requested priority landing, and the aircraft landed safely. Saskatoon's airport says in a tweet that the plane was evacuated on the runway. Everyone got off safely and were taken to the terminal. 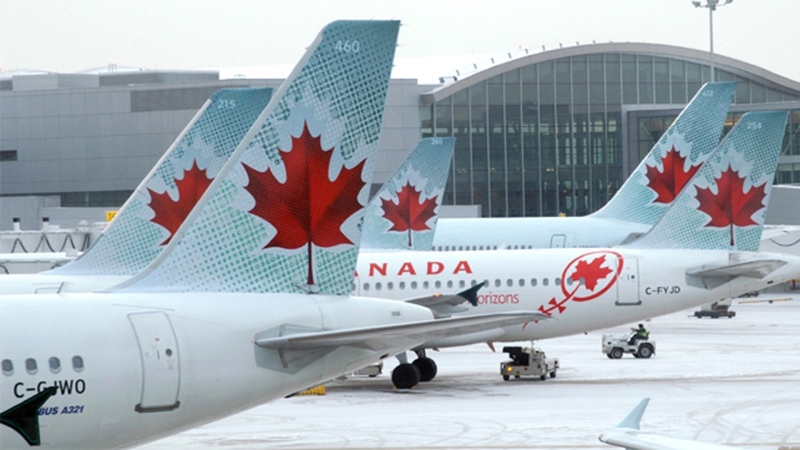 The airport says passengers took off for Calgary later in the afternoon. Passengers are back on their way to YYC as of 17:00. Thank you to @SaskatoonPolice @SaskatoonFire @MDAmbulanceCare for their assistance. Any additional questions should be directed to Jazz Aviation.